Select Use the following IP address, then enter the IP 192.168.0.51 and the Subnet Mask 255.0.0.0. Then click OK.
Click on the Setup tab on the top menu bar. Click on the Wireless tab on the left side of the page. Set the Wireless Network Name to your team number. 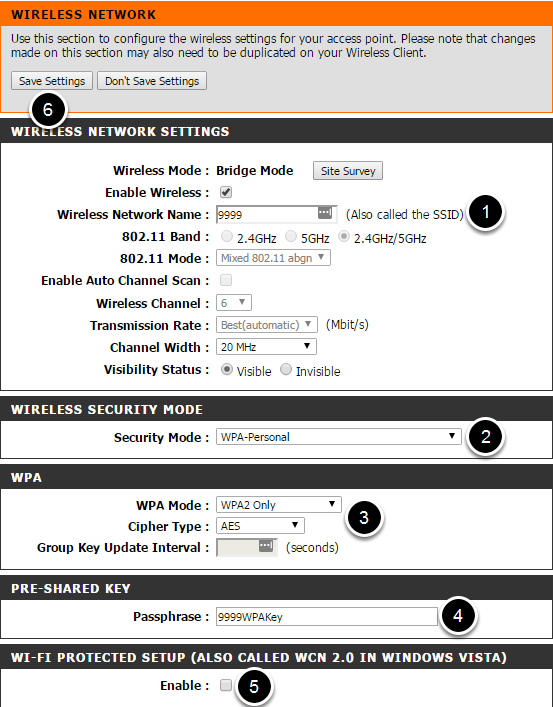 Set th Wireless Security Mode to WPA-Personal. Click Network Settings from the left sidebar.